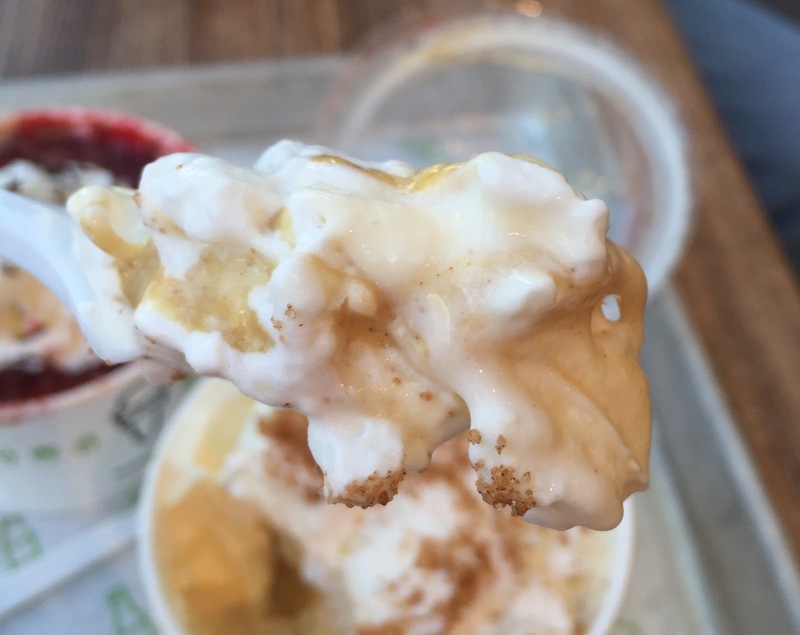 During Shacktoberfest at Shake Shack in the states, from September 23 to October 2, 2016, they have 2 shake flavors; Apfelstrudel and Black Forest. 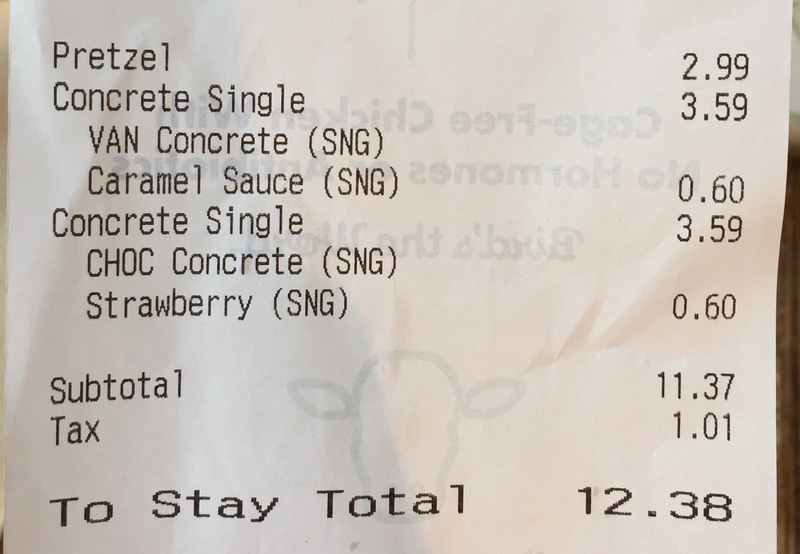 A staff said that any shake can be Concrete as the shake is made with frozen custard and milk, but the upper west staff had never heard and there's no button on the cash register so that she typed the base (frozen custard) and sauce, then told the kitchen what to make for us. Apfelstrudel is a from Austria and Germany. It's made with a pastry sheet which is stretched so thin that you can see through the newspaper underneath, then place apple comport, rolled, then baked. As always, vanilla ice cream was tasty, and there're actually apple compote at the bottom. 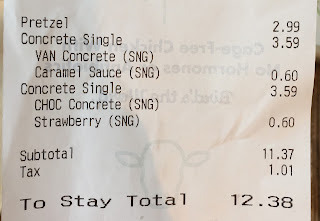 I was disturbed by the crunchy shortbread crumbs with cinnamon sugar, but still I enjoyed this Concrete that tasted like apple pie with vanilla ice cream and whipped cream.